Join us to be inspired and introduced to leading AV solutions at our latest Connect events. Head ot one of our global offices for an after work event, at one of our regular thought leadership conferences or roadshow events or join one of our regular webinars. Follow us on LinkedIn for alerts about the latest events in your region. 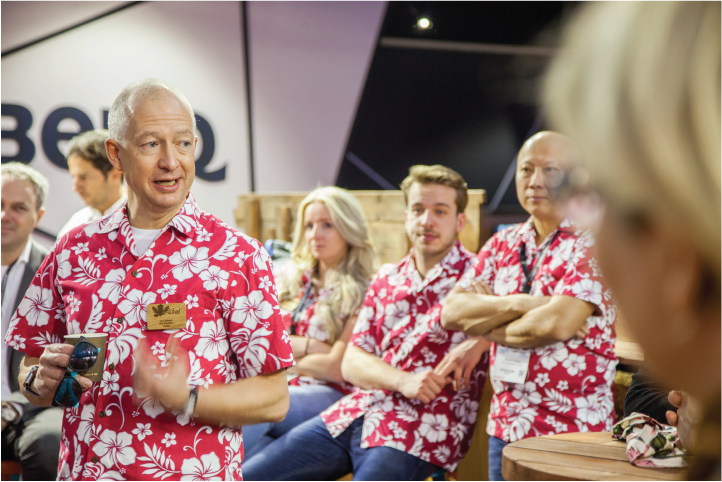 Join the Maverick team and leading vendors for showcase events at Maverick HQ. Webinars on hot topics and solutions for the industry right now. We take the Maverick experience on tour to a venue near you. Join the Maverick French team for a drinks reception. A chance to explore the entire Maverick collaboration & digital signage portfolio and get up close with the Maverick Team on French territory. Maverick AV Solutions invites you to experience ZOOM solutions. Discover all ‘must-knows’ which will give real added-value to your customers and projects. Connect with Maverick and Barco experts alike at Tech Data Luxembourg. A showcase of the whole Maverick solution portfolio with our Belgian team, with thought leadership speakers and insights into the latest innovations in the sector. Maverick AV Solutions is the leading global audio visual (AV) distribution specialist. Working with leading manufacturers, its specialist team offers in depth knowledge in collaboration and digital signage technology, offering cutting edge solutions for its customers. AV integrators and IT companies can call upon bespoke support services, finance options and unrivalled delivery support as part of the Tech Data business. Tech Data Limited respects your privacy and is committed to protecting your personal data. This privacy notice will inform you as to how we look after your personal data and tell you about your privacy rights and how the law protects you. To read the full privacy notice please click here.